New statistics from NACHA-The Electronic Payments Association show that ACH transaction volume in 2015 grew to more than 24 billion electronic payments, an increase of 1.3 billion payments (5.6 percent) over 2014 volume. This marks the second consecutive year in which ACH payments grew by more than 1 billion, according to a press release. Additionally, a more than $41.6 trillion was transferred over the ACH Network in 2015, a 4 percent increase compared with 2014. In 2015, the network processed more than 11 billion debit transactions constituting nearly 60 percent of overall ACH network volume. End users also are embracing credit transactions, which grew more than 5 percent in 2015 to 8 billion transactions. Also in 2015, the network transferred 5.8 billion direct deposits, an increase of 200 million transactions over the previous year. In its first full year of availability, P2P payment, a WEB/online credit transaction, eked out 57 million transactions. WEB debits saw an increase of 12.8 percent year-over-year, to a total of 4 billion. 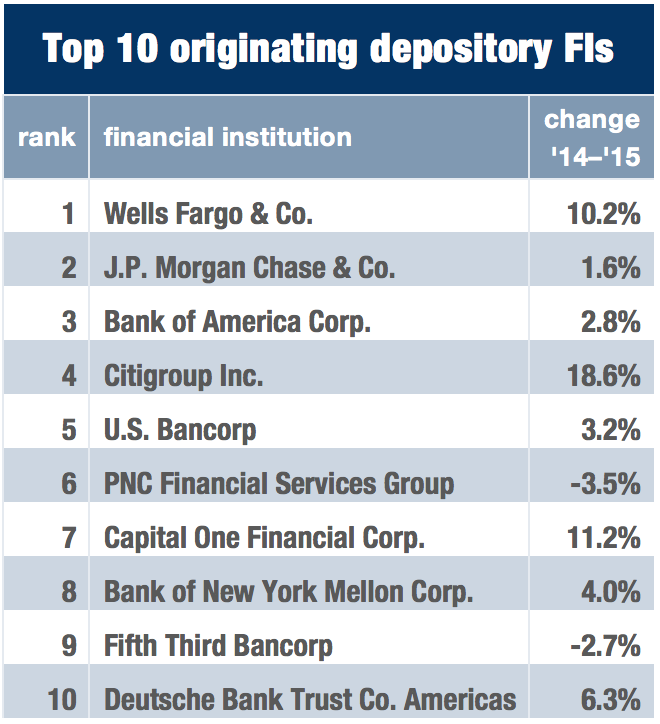 The Top 50 originating depository financial institutions in 2015 originated 16.8 billion ACH transactions, accounting for 87 percent of ACH Network originated volume. The Top 50 receiving depository financial institutions received 11.1 billion ACH transactions, accounting for 57.4 percent of ACH Network received volume.